Winter is now here which brings along with it a lot of time indoors, in constant air conditioning and a lot of the time a lower intake of water! Typically this also means one thing for your skin – Dehydration! With such drastic changes in the temperature and air conditioning all the times, our skin can become very dry and lacking moisture. 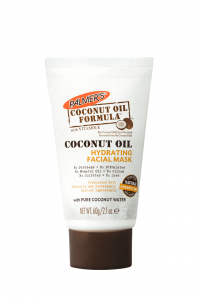 Luckily for us, Palmer’s has an extensive product range and proven efficacy of its products, with something to target every skin concern this Winter. 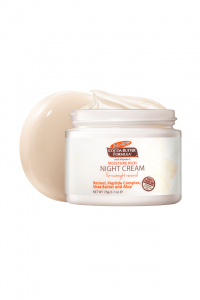 Moisture Rich Night Cream – RRP $14.99 Containing super ingredients such as Cocoa Butter, Vitamin E and Retinol this luxurious night cream will nourish your skin and return moisture while you sleep! This facial mask is a deeply hydrating, bacteria fighting, power-house of super skin nutrients that will help hydrate, nourish and restore the your skin’s healthy glow. 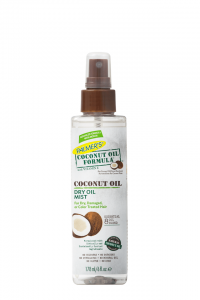 Spritz this lightweight and non-greasy formula on wet or dry hair to calm flyaways and add moisture back into your locks when they have taken a hit from hot styling.Containing a blend of pure natural oils Avocado, Maracuja, Coconut, Jojoba, Amla, Argan, Grapeseed and Kukui Oil to deeply hydrate and repair damage. 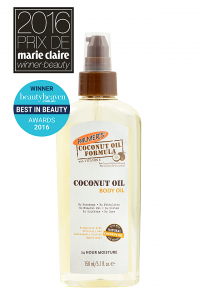 It sprays on light, tames frizz and creates incredible shine. 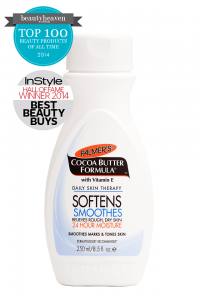 An iconic product within the Palmer’s range, the Cocoa Butter lotion melts on contact with the skin, helping to penetrate with antioxidants, as well as act as an emollient to lock in moisture and protect skin from the harsh elements of the environment during Winter! A light, quickly absorbed oil that nourishes deeply to restore hydration to your Winter skin. With the added benefit of the luscious coconut fragrance, your mind will be transported to a tropical paradise while your skin is nourished deeply with new moisture. ← LOOKING FOR SCHOOL HOLIDAYS OPTIONS?